As another long Michigan winter fades away, outdoor enthusiasts are looking forward to their first warm weather outings. Wise motorists will learn the basic rules for trailer safety before the camping and boating season arrives. Some of the most important rules involve trailer lights. If a boat or camper is not visible to other motorists, a serious accident can result. Here is an overview of trailer light requirements for Michigan. Trailer light requirements vary from state to state. The following regulations are required by Michigan law. 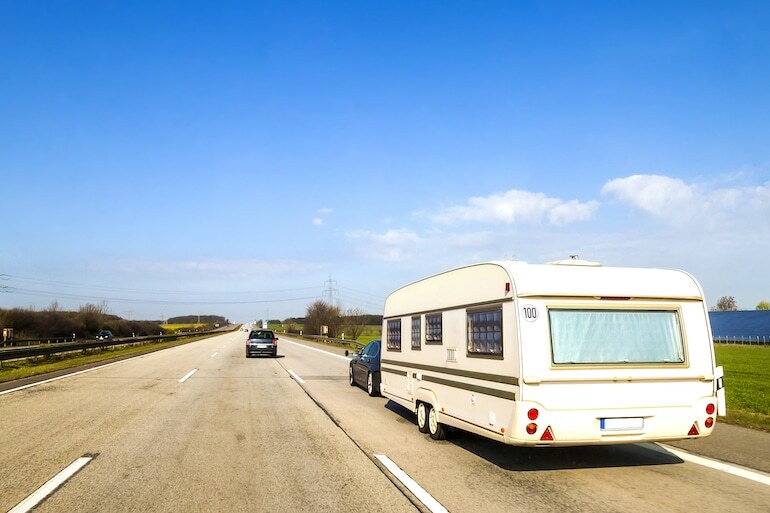 If you plan to leave the state, check the trailer light requirements in the states you will be visiting. In addition, trailer light connection failure is a common problem that poses a serious safety hazard. Therefore, travelers should make sure all trailer lights are working before heading out on the road. Two clearance lamps (one on each side). Two side marker lamps (one at or near the front and one at or near the rear). Two reflectors (one at or near the front and one at or near the rear). Two clearance lamps (one at each side). Two reflectors (one at each side). These may be in combination and may show to the front, side or rear. Two reflectors, one on each side. Two clearance lamps, one at each side. Two side marker lamps, one at or near the front and one at or near the rear. Two reflectors, one at or near the front and one at or near the rear. An additional stop light if the standard stop light is obscured due to the towing vehicle’s load or dimensions. At least one rear lamp that emits a red light plainly visible from a distance of 500 feet. A white light that illuminates the rear registration plate so it is visible from a distance of 50 feet. A “recreational double” is a pickup truck pulling a fifth wheel trailer, such as an RV, with a second trailer attached to its rear. Operating a recreational double requires drivers to have an “R” endorsement on their license. To obtain this endorsement, drivers must pay $10 and pass a knowledge test administered by the Secretary of State. The total combined length of the three units — pickup truck, fifth-wheel trailer and second trailer — must not exceed 75 feet. The gross weight of the second trailer cannot exceed the empty weight of the pickup truck or the empty weight of the fifth-wheel trailer. A trailer cannot drift more than three inches to either side of the path of the towing vehicle when traveling in a straight line on a level, smooth, paved surface.